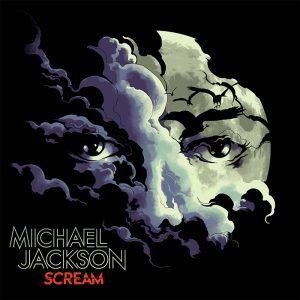 On September 29, Epic/Legacy Recordings, in collaboration with The Estate of Michael Jackson, will release Michael Jackson SCREAM, a collection of 13 of his all-time most electrifying and danceable tracks including “Ghosts,” “Torture,” “Thriller,” and “Dirty Diana.” Additionally, SCREAM includes a newly created bonus track, “Blood on the Dance Floor X Dangerous,” a high-energy five-song mashup from the acclaimed remixer The White Panda who created a seamless new musical experience. Starting today, fans will be able to access the “Blood on The Dance Floor X Dangerous” mash-up of “Blood on the Dance Floor,” “Dangerous,” “This Place Hotel,” “Leave Me Alone,” and “Is It Scary.” The mash-up by The White Panda premieres exclusively on Shazam where for the two hours between 7am-9am ET fans can Shazam any Michael Jackson song and unlock the newly imagined track. Each track on SCREAM is remarkable in its own way. For example, “Dirty Diana,” was the fifth consecutive No. 1 song from the album Bad which shattered records for consecutive chart topping singles off a single album; “Thriller,” penned by Rod Temperton, was the seventh of an unprecedented seven Top 10 singles from Thriller, the biggest-selling album of all time; and the Top 5 hit “Scream” is the only duet between Michael Jackson and his sister Janet. Also included are fan favorites from The Jacksons’ albums – “Torture” and “This Place Hotel” (the first single to be written, composed, and arranged solely by Michael); and, making its first appearance on a Michael Jackson album, “Somebody’s Watching Me,” the international 1985 hit by Rockwell featuring an iconic hook sung by Michael. SCREAM is available for iTunes pre-order now: https://MichaelJackson.lnk.to/SCREAM_itunes. 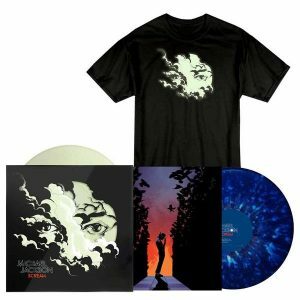 SCREAM is also available for pre-order on CD: https://MichaelJackson.lnk.to/SCREAM_amazon and on collectible, glow-in-the-dark 2LP vinyl (which will be released on October 27): https://MichaelJackson.lnk.to/SCREAM_VINYL.